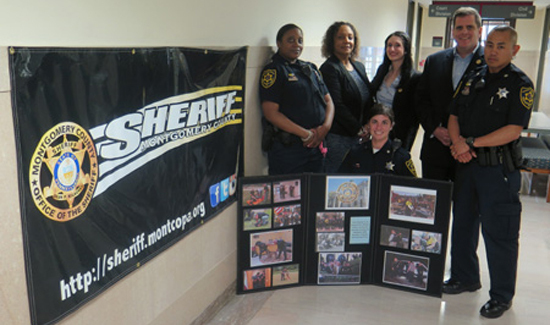 Montgomery County (Pennsylvania) Sheriff Sean P. Kilkenny and his staff have kicked off a new law enforcement and office staff recruiting program in an effort to draw more diverse candidates. Instead of relying on the regular flow of interested candidates who apply for positions in the Sheriff’s Office, the agency is now actively participating in many career and community career events, in order to recruit new employees. The office’s new recruiting program is manned by experienced and engaging staff recruiters along with a dynamic visual display board of the various units in action. A newly developed electronic presentation gives candidates an overview of the role and duties of the Sheriff’s Office. Job seekers receive a kit that includes a fact sheet, application and contact card. Information about internships and the Shadow Program are also available. Kilkenny said he was more than pleased with the results of a recent physical agility testing for new recruits who came from very diverse backgrounds. Out of the 141 applicants, 54 of them participated in the physical agility testing. Out of the 42 participants that passed, 20 percent were female, 16.5 percent were Black, 7 percent were Hispanic, and one applicant was Asian.